My bunny had Pasteurella and made it thru! we got two bunnies at the same time when they were 6 weeks old. One got sick at seven weeks of age, but not the other one. We had to keep the sick one quarantined in my room for two weeks and slowly let them start playing together again. Bunny recovered fast and is doing very well. He is a little more shy and reserved than the other one, but has grown very well since. It was a very scary and expensive experience but I love my bunnies so much. Wonderful! Can you tell us more? Did the vet do labs and cultures? Did you medicate? With what medication? Your story might help others with the same problem. Lastly, we'd love an update on Sugar in 6 months, would this be possible? Thanks again for your post. To be honest, I cannot remember what the dosage was, the vet weighed Harvey and prescribed the right dose that way, but it was two and a half years ago now, and I wouldn't like to speculate. We actually had a little scare a few weeks back, Harvey started sneezing one day and of course I was terrified that this was the start of it all again so I immediately took him to the vet. She checked him over- no problems but I insisted she took a nasal swab as he'd had the pasteurella, well, he was only sneezing because a tiny little piece of hay had gone up his nose! Poor Harvey bun had been trying to sneeze to get it out- Clever boy! The vet said that he was a very healthy, happy and tame boy, despite there being a dog barking its head off in the waiting room, he did so well. The Baytril worked for us, he had it twice, the first time for about 3 weeks and the second time (the following month) about four weeks, but it was also very much about keeping him cool and making sure his cage was cleaned every day. He also eats plenty of greens like spinach, rocket (peppery is his favourite) and lots of fresh grass hay. We also add good bacteria to his water a few times a week. Be very careful with 'by-mouth' drugs! They can trigger a fatal diarrhea, depending on the drug and the dose. 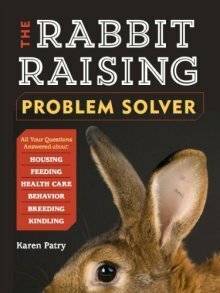 Plus, how do you know Baytril is the drug of choice for the problem your rabbit has? Perhaps a(nother) vet visit would be helpful? Are you using alcohol swabs to clean the site of the injection? He was very lucky. However, it was not easy to deal with and it progressed very quickly. What alerted me was the smell- it was awful so I realised it must have been some kind of bacterial infection. I took him to the vet straightaway and we got the Baytril. I won't lie and say it was easy to get him to take it, because he hated the taste of it and a lot was wasted. He did seem to pick up for a few weeks so we thought the Baytril had done the trick. About a month later, he was fine and was out of his cage as he normally is during the day and he was bunnying around as usual. Within an hour he was quiet and instead of being flopped out relaxed, he was sitting upright not moving. Then his head tilted to one side. I knew that wasn't a good sign so I called the vet (it was almost closing time). He asked if we had any of the Baytril left which we did and he told us to give him a double dose and then repeat four hourly. We stayed up all night with him and by the morning, the head tilt had gone and he was eating. We got more Baytril from the vet and kept the meds up (its amazing how resourceful you can be getting a bun to take it in the end) We kept it up for around 28 days in the end. I am sure that had he been an outdoor bun, we wouldn't have noticed as quickly as we did, and I am convinced he wouldn't have made it. It was a very scary time for us- and him I guess. The vet has seen him a couple of times since and he is amazed at how he managed to recover. We know most are culled or die from the terrible effects of pasteurella. I think that we'll always be on the look out for anything with Harvey at all, he is truly adorable and I don't know what we'd do if anything happened to him. Everyone who comes to our house cannot believe how friendly and sociable he is. Our last House Bunny lived till the grand old age of 13, so hopefully, we'll have HarveyBun for as long too. He is very much loved and part of the family. The vet took swabs from Harvey's nose and it did confirm pastuerella. Don't know if that helps. Yep, helps a lot. Your experience is remarkable, and will give hope to others. Thanks again. Just a wee update on our Harvey. At the moment he is cuddled up on the sofa next to daddy his human brother and is happy and healthy. No sign of any pasteurella whatsoever. He was 2 years old in December. He hasn't had any Baytril for almost two years now, but his diet is still excellent and his thick glossy coat and gentle temperament are the best testament to how happy he is I guess. He's fab and we adore him! I'd be willing to bet 5 jelly donuts that Harvey actually had Bordetellosis rather than Pasteurellosis, hence my prior interest in knowing if the vet did any actual tests, and what the results were. But no matter, so glad that the initial health problem is a distant memory at this point. Hi, I posted in January about our HarveyBun and his pastuerella. He is still a healthy happy bunny with no problems at all. I maybe should have mentioned that he is a house bun and spends his days having lots of freedom with hugs and kisses from the family, so yes, I think his immune system is strong and along with a good diet, this has helped. I will certainly look into the amonia in the urine being reduced with less protein in his diet. We are quite fastidious with his cage cleaning, especially as he is in the lounge with us all day everyday, I am concious of keeping any odours down to a minimum. We "adopted" our house bun "Harvey" and were told he had allergies. After I did some research, we took him to the vet and as suspected, he had pasteurella. We put him on Baytril for 28 days, cleaned out his cage and litter tray daily (the ammonia in rabbit urine is bad for their respiratory system) we also used a pet safe disinfectant every day to clean cage, bowl & water bottles and put pro-biotic in his waster. We stopped the Baytril, but have kept up the clean cage & pro-biotic for the last year and feed spinach, parsley, carrot tops and kale daily along with Excel nuggets, fresh hay and carrots. Harvey has had no further problems whatsoever. His coat is soft glossy and thick, he is healthy, happy and well loved with absolutely no symptoms whatsoever for over a year. He has also been neutered and the vet said he was one of the best bunnies he'd seen in terms of health and temperament. He could not believe this was the same bunny he'd seen a year ago. The word Pasteurella made me so scared but I honestly believe that lots of love, care, good feeding, clean environment and an aggressive course of Baytril saved him. Excellent, so glad to hear it. What also 'saved' him is, I think, measures that strengthened Harvey's immune system. For example, fresh greens such as kale offer tremendous nutrition. The Baytril knocked down the bacterial count, and then the immune system gets the tools it needs to keep the germs under control. FYI: Ammonia odor is a sign of too much protein. Perhaps you can find pellets with just 15% protein and add a source of oil, such as whole oats or black oil sunflower seeds? It'd be interesting to see if this would reduce the odor level.